540 Wofford Rd, Woodruff, SC 29388 (#254911) :: Century 21 Blackwell & Co. Realty, Inc. This is the peaceful equestrian friendly home that your family has always wanted! 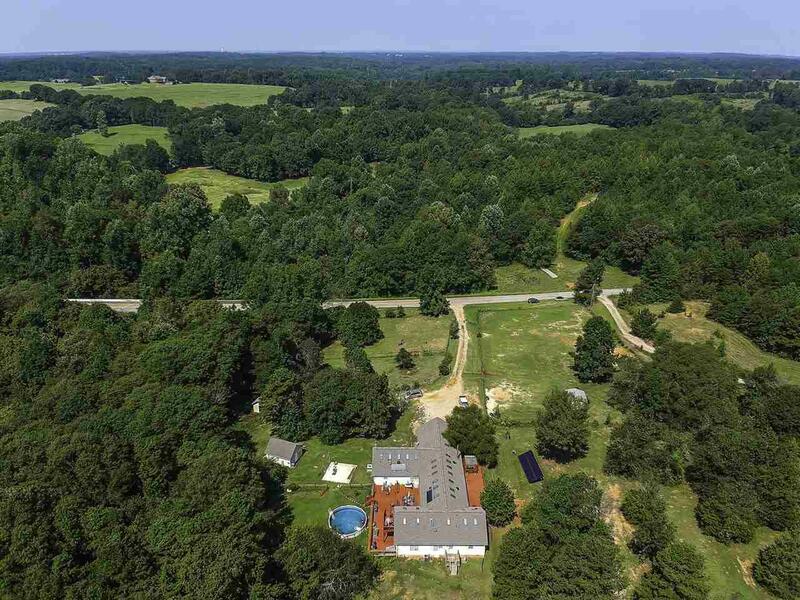 Come see this 8-bedroom 6-bath home on approximately 6.5+ acres with over 6,400+ sq. ft. of generous space to move about. Spend your summer mornings on one of the spacious decks overlooking the hardwood forest with a fresh cup of coffee and your winter evenings snuggled up by the woodstove with a good book. This home has multiple kitchens and living areas, can accommodate multiple families or guests, and could easily be converted into an income producing bed and breakfast. All the bedrooms are spacious with an abundance of natural light and the main living area boasts of a combined den and dining area and is suitable for large family gatherings and events. The secondary entrance from the back deck leads to a full extra living area upstairs that includes a full kitchen, bedroom,bath, dining and recreation area. The walk-in laundry room and pantry are close by, adjacent to the other full kitchen, and has an abundance of cabinets, meal preparation area, and storage space. 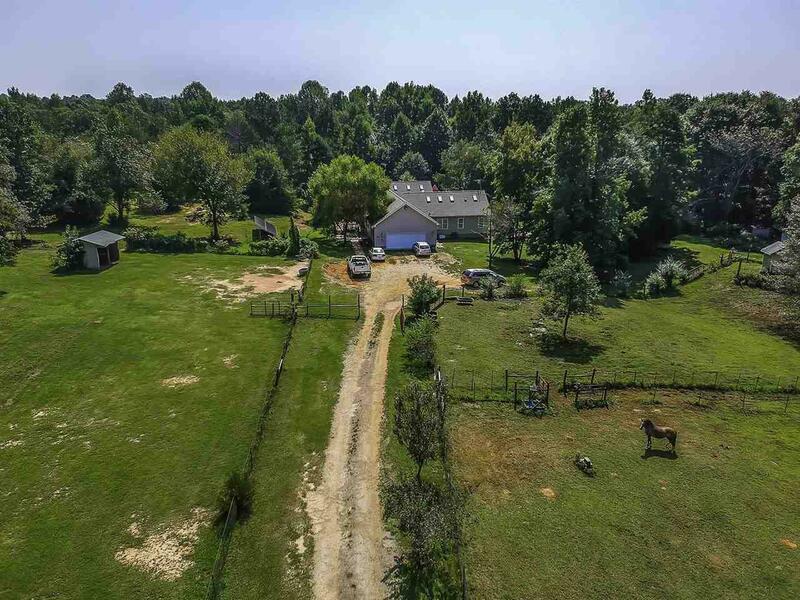 Outside you will find multiple fenced pasture areas that are lined with fruit trees along with multiple outbuildings to be used for horse stables, hay barns, or workshops. 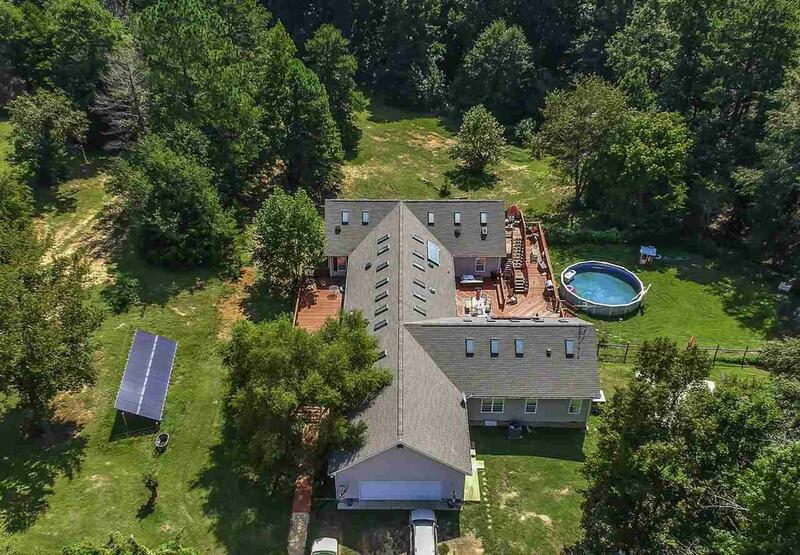 The on-site solar power systems are an added value to this property and assists with reducing utility costs. 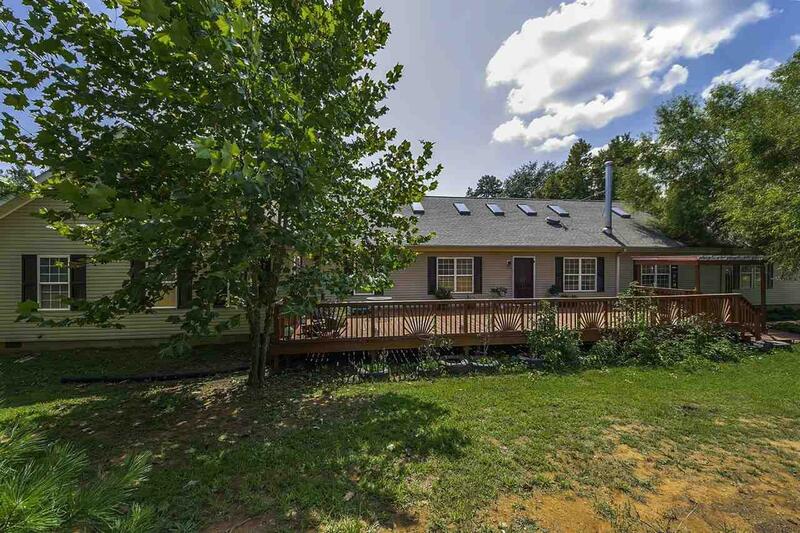 Situated in a highly desirable area in the foothills of the Blue Ridge Mountains, this home is just minutes from Croft State Park known for its equestrian facilities and trails, a short drive to Spartanburg or Greenville, the Tryon International Equestrian Center, and the mountains of Asheville, NC. Escape the hustle and bustle of the city by making this picturesque home yours today! Storage Space Garage Out Building W/ Elec.